Welcome to our Fly Fishing Fly Box Store. 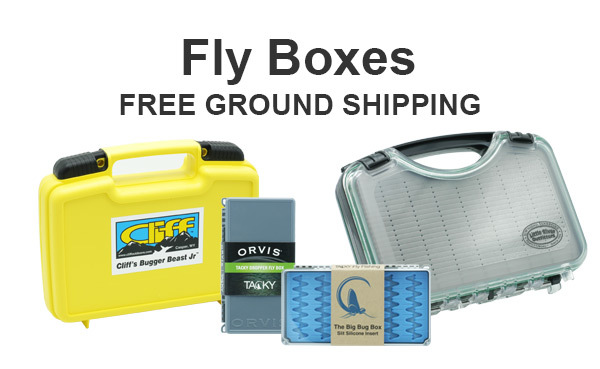 Here you will find over 50 different fly boxes for your fly fishing needs. Some have compartments, foam, slit foam, magnetic basses and silicone bases to hold your flies. We have our own line of LRO logoed fly boxes too. Some of these fly boxes are waterproof. You can order here online, or call us at 865-448-9459 to order. Ground Shipping is Free.